Widespread Panic formed in 1986 as a few friends picking guitars at the University of Georgia. In their 23 years together, they've sold over three million albums and performed to sell out crowds across the country. 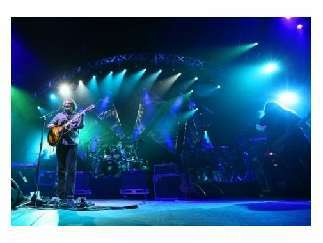 Known for never playing the same show twice, Widespread Panic has forged roots rock, blues and boogie into an aesthetic all its own.